refugees were rescued at sea. 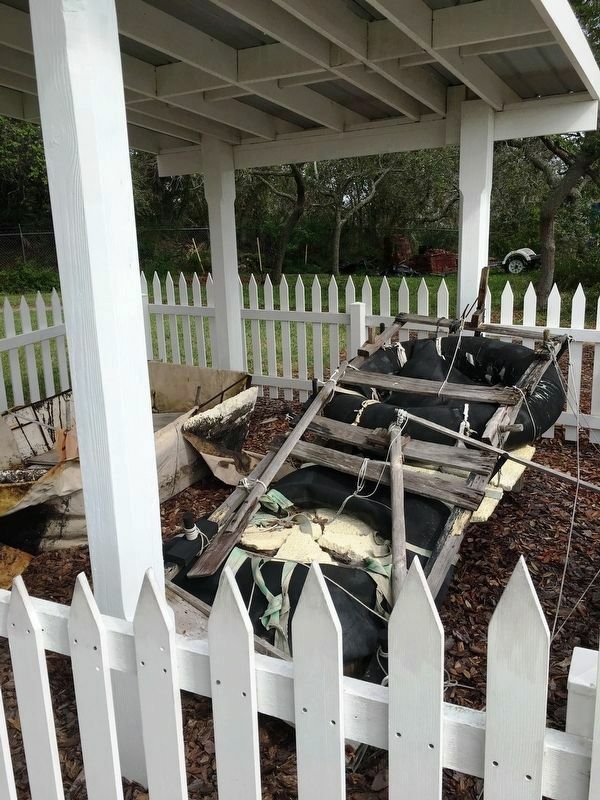 Florida is treacherous, and the fate of the individuals aboard this raft is unknown. Location. 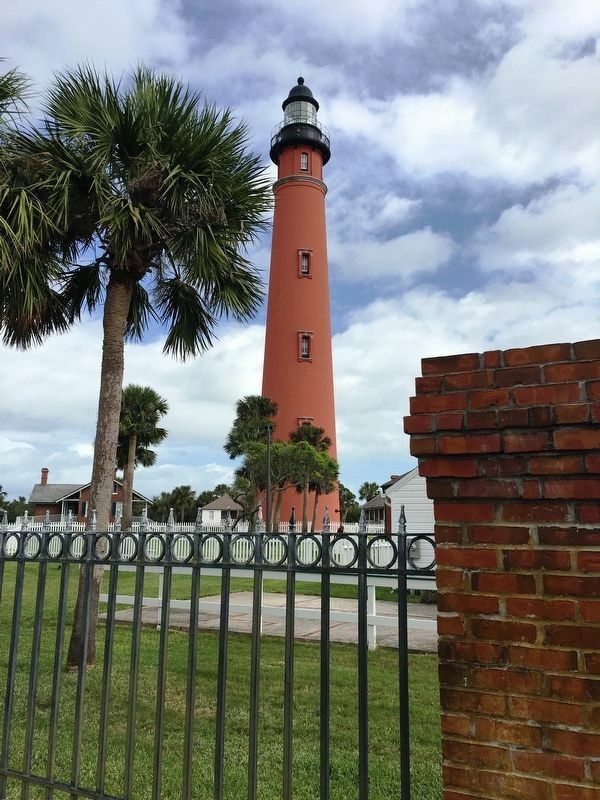 29° 4.879′ N, 80° 55.685′ W. Marker is in Ponce Inlet, Florida, in Volusia County. Marker can be reached from South Peninsula Drive 0.1 miles south of south of Ocean Way Drive. Touch for map. Marker is at or near this postal address: 4931 South Peninsula Drive, Port Orange FL 32127, United States of America. Touch for directions. distance of this marker); Second Assistant Keeper's Dwelling (within shouting distance of this marker); The Principal Keeper's Office (within shouting distance of this marker); Principal Keeper's Dwelling (within shouting distance of this marker); Gladys Meyer Davis Home (about 300 feet away, measured in a direct line); Kedge Anchor (about 300 feet away). 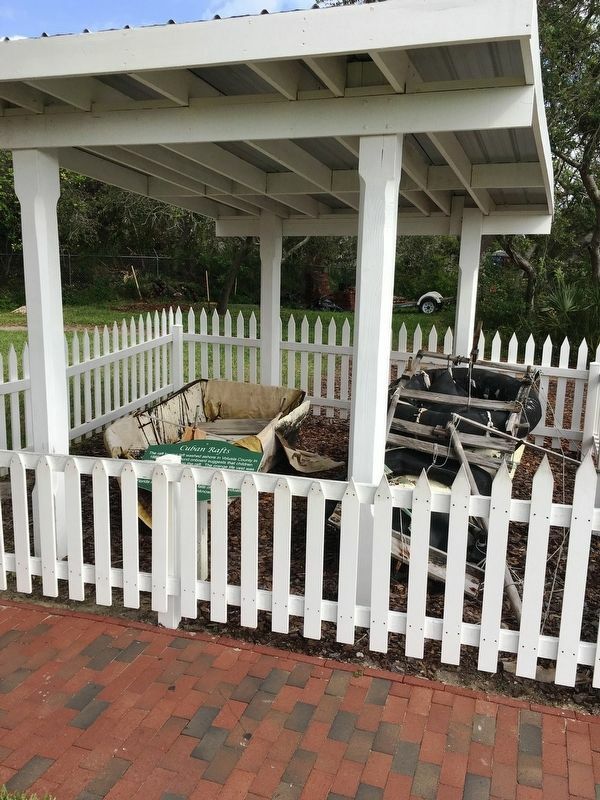 Touch for a list and map of all markers in Ponce Inlet. More. 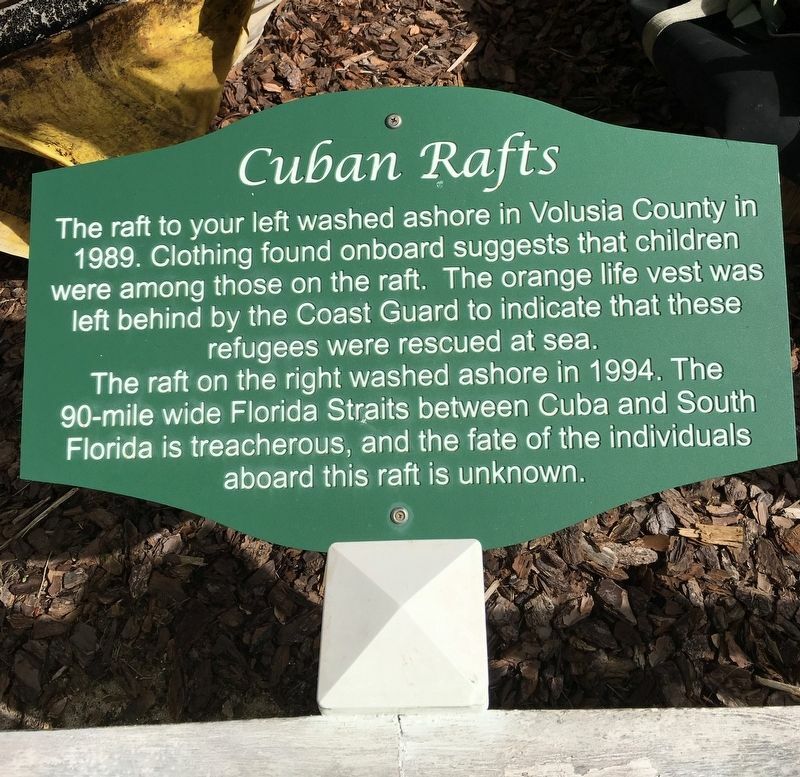 Search the internet for Cuban Rafts. Credits. This page was last revised on February 21, 2018. This page originally submitted on January 29, 2018, by Brandon D Cross of Flagler Beach, Florida. This page has been viewed 111 times since then and 7 times this year. Last updated on February 21, 2018, by T. Patton of Jefferson, Georgia. Photos: 1, 2, 3, 4. submitted on January 29, 2018, by Brandon D Cross of Flagler Beach, Florida. • Andrew Ruppenstein was the editor who published this page.